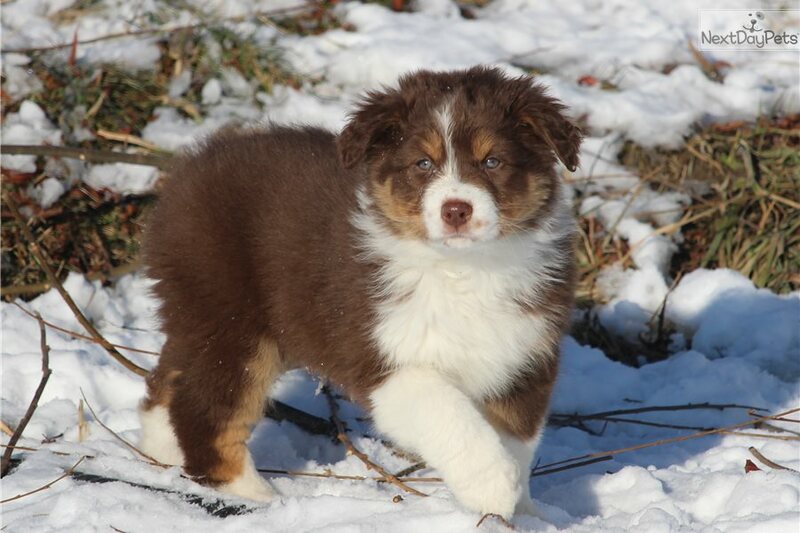 This Australian Shepherd nicknamed Joy sold and went to a new family. 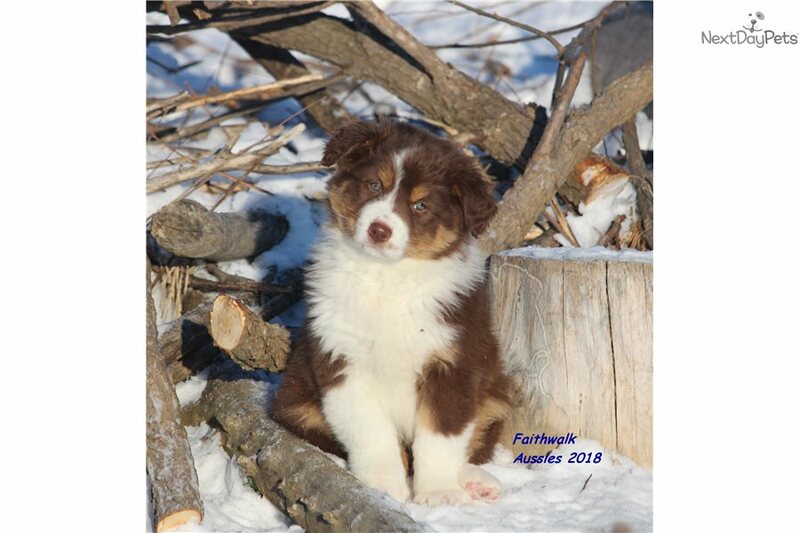 UPDATE: THIS PUP IS SOLD, CHECK OUR WEBSITE FOR UPCOMING LITTERS. Joy is a super sweet, lower energy red tri girl available to an approved home, preferably in my area. 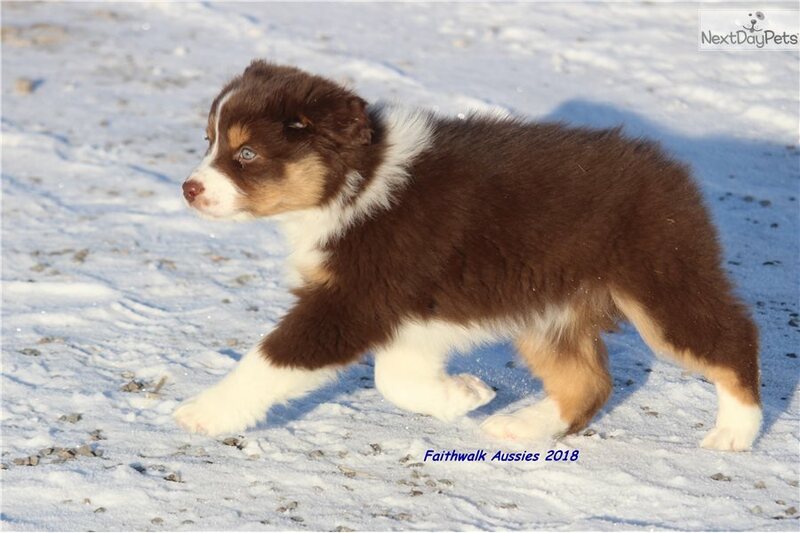 She's AKC registerable, MDR1 normal/normal, current on puppy vaccinations, has been dewormed and started on Interceptor. 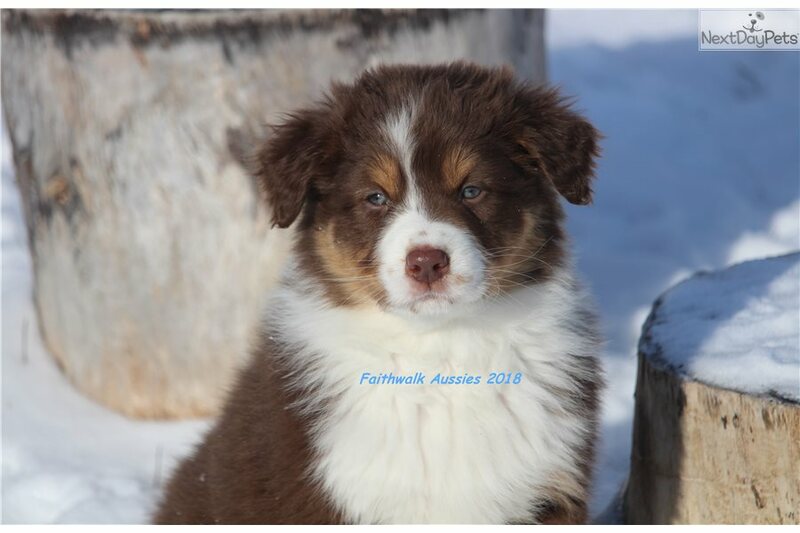 She has been raised with the Puppy Culture program which helps her reach her full potential. 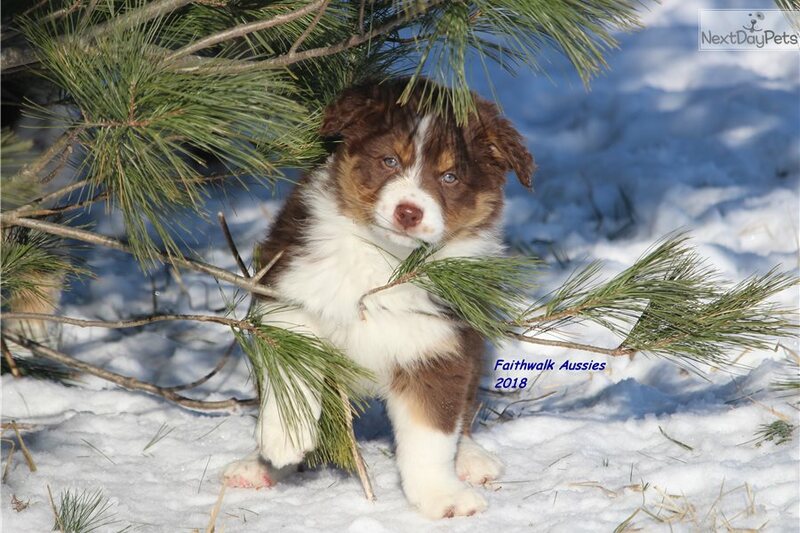 She is AKC/ASCA registerable and parents have had their hips and elbows OFA rated , are CERF/CAER eyes clear and DNA tested clear of CEA, prcd-PRA and HSF4 hereditary cataracts, DM, CD and CRM1. Her dam is MDR1 n/n and sire is m/n. 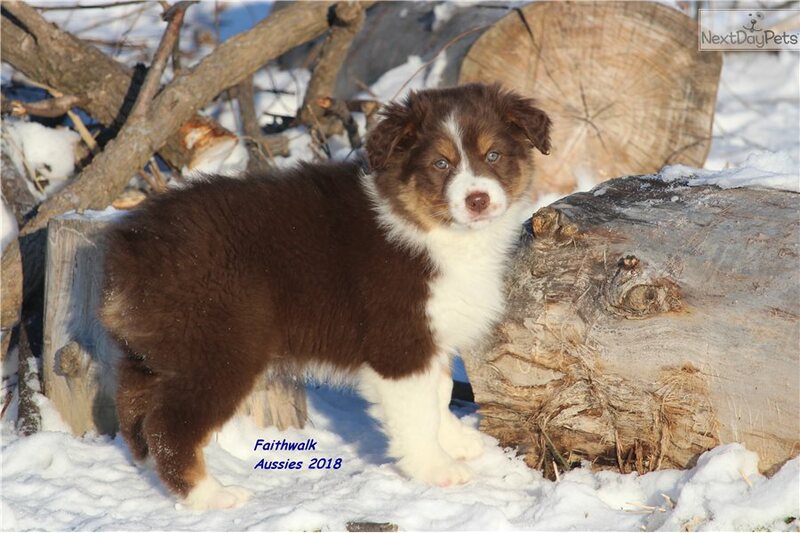 We feed raw food and premium kibble and pups are raised inside so use used to normal household activity. 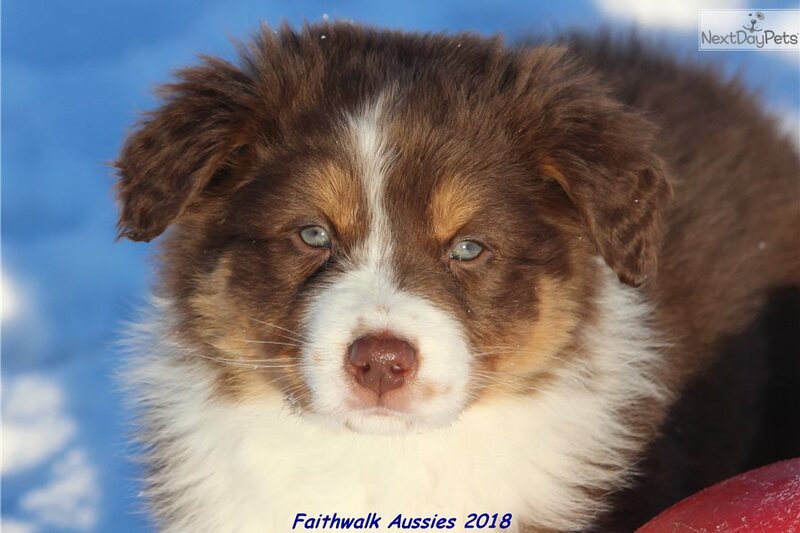 Our pups are available to an approved home and comes with a health guarantee, and is sold on contract with a spay/neuter agreement (non breeding.) 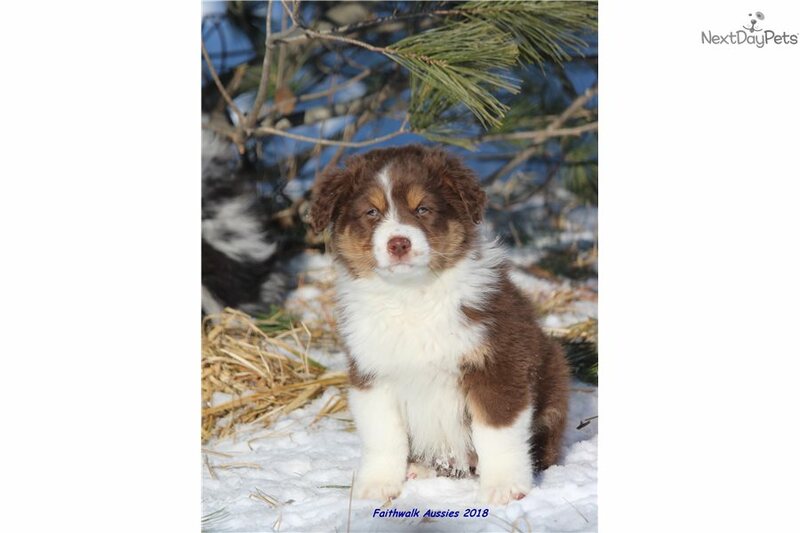 We will evaluate temperaments as pups grow as this helps us match pups to new owners. We require pups to be picked up in person, no shipping.